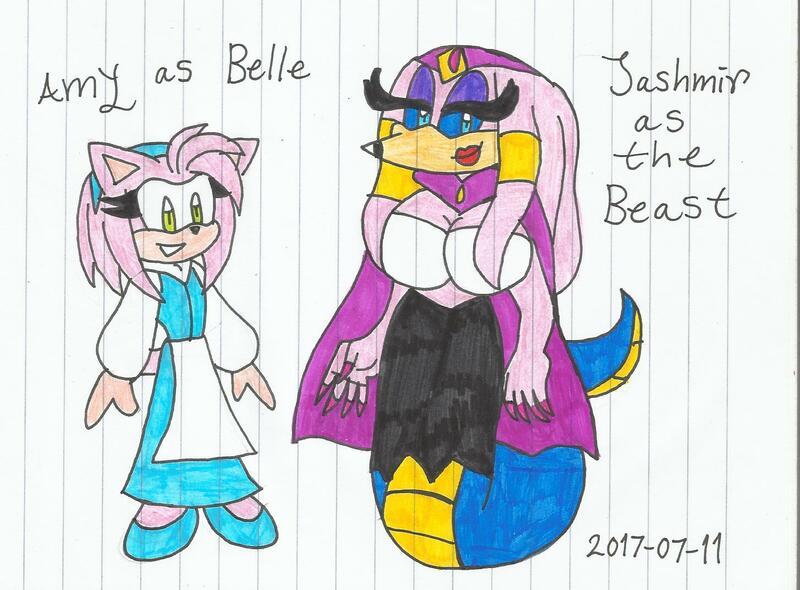 Well, I really got the idea to draw this Yuri ship cosplayed as the roles from Disney's Beauty and the Beast. damn, Those are badly drawn. Yeah. PS, This movie is like an autumn or winter X-mas movie. Well, Emotionally felt like it. You can think of it as an autumn or winter movie if you like. Thanks. Jashmir sure is dominant yet sweet. yeah. Jashmir's coils are strong enough to crush Eggman's robots. Is it bad that I initially thought that this was for A Tale as Old as Time, until I saw it was going to be a SonAdow comic? IT IS going to be a Sonadow comic! I know, I didn't say it wasn't going to be. Sorry. But it felt that way. Still very good art though.